I drew this last night sitting in a tavern. People go out to drink, socialize, and forget work. I go out and work. That is my fun. I’m a nerd. I did have some good Mini Elvises, which are tiny cheeseburgers. I always feel guilty when I hit Hillary Clinton or Bernie Sanders. My usual readership gets confused and currently, they’re bickering with each other over the Democratic candidates. But I don’t really feel guilty. This idea was provoked out of me by fellow cartoonist Ted Rall. 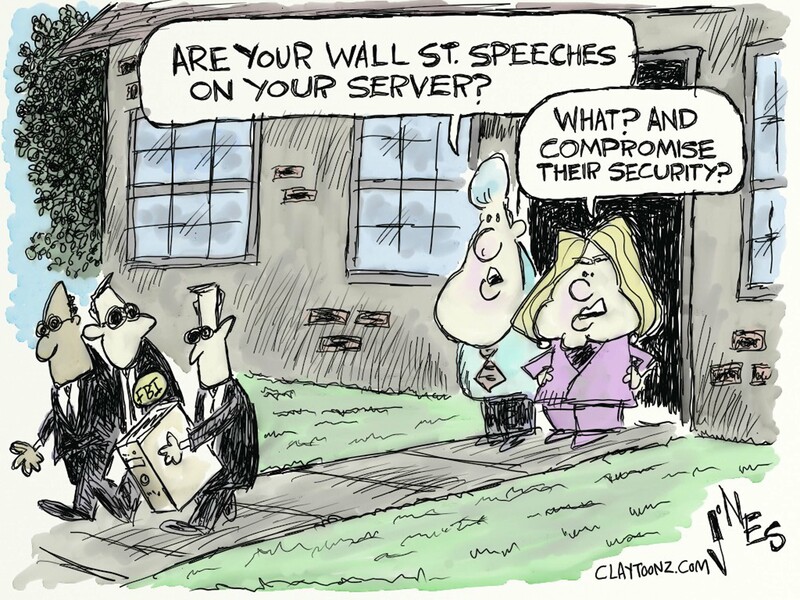 Ted tweeted, or Facebooked (I don’t recall which), that there are no longer any presidential candidates left who gave speeches to Wall Street, so Hillary Clinton should go ahead and release her speeches. Is that true? Trump never spoke to Wall Street? Man, if Wall Street doesn’t want to hear from the billionaire with the best words and unusually sized hands, then why is he the GOP nominee if his one specialty is being rich? I digress. For some reason reading Ted’s post made this idea pop into my head. For what it’s worth, I don’t think there’s anything to Clinton’s emails or her speeches other than she should just release the damn speeches. Isn’t it kinda weird that no one who attended one of her speeches has come out to detail what she said? Was she paid to speak to an empty room? If you’re old like me and non-British, you might vaguely recall the sitcom “Are You Being Served.” I totally forgot about that show until I started writing today’s blog. I figure Brits are very familiar with it despite it being off the air since 1985. Reruns of the show were shown in the U.S. on PBS, which means no conservative knows what I’m talking about. It was a very irreverent show that really pushed the boundaries. Sometimes I believe I was born in the wrong country (at least that’s what my ex used to say). It was brilliant and ran from 1972 to 1985, which I just learned from Wikipedia. Now if you’re an American and you recall the Brit sitcom The Young Ones, then you are an old geek like me and you might want to have that looked at. There is not a cure. A lot of Bernie Sanders’ supporters are feeling a bit burned today. It’s over. Those who don’t feel burned are the ones in denial. 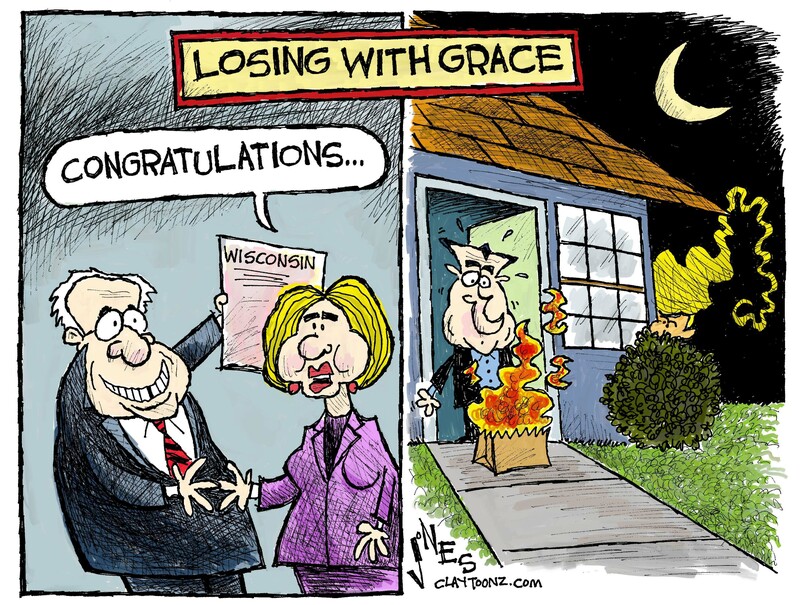 They can take consolation that the burn they feel today is nothing compared to what Republicans are going to experience in November. Bernie Sanders started off as a fringe candidate. I like to remind people when one of my predictions comes true, like predicting Bernie wouldn’t get the nomination (which was not a bold forecast). I’ll also point out that I was wrong at the start of Bernie’s “fringe” campaign. I drew a cartoon of Hillary’s campaign with her “Scooby Van” flush with cash, and Bernie’s campaign living in a “van by the river,” focusing on how he wouldn’t be able to raise money. Despite that cartoon being widely read at the time, and even making USA Today, talk about being wrong. Bernie proved a lot of people wrong. Bernie Sanders set new records, and changed the landscape on fundraising. He avoided super pacs and corporate funding, with the bulk of his campaign’s support coming from individual donors. Sanders states every day that the average contribution is $27.00. That is impressive. Bernie ran a great campaign. No other candidate drew crowds as big as Bernie’s. Donald Trump always says nobody gets them like me and Bernie. Trump, you draw good crowds but nobody gets them like Bernie. 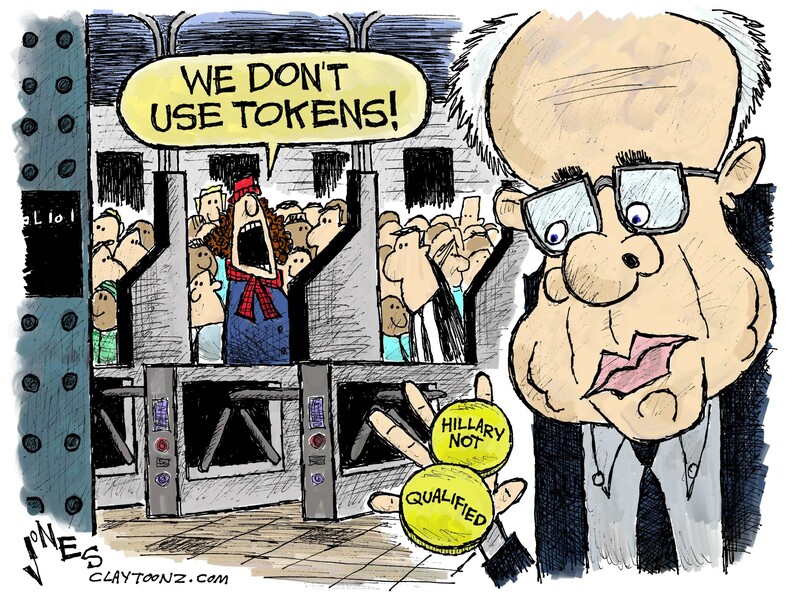 Bernie should be proud and so should his supporters. Sanders is changing the focus of his campaign on the issues he supports being included in the Democratic Party’s platform. Those issues range from a $15.00 minimum wage, free college, and ending corporate campaign funding. The Democratic Party would be wise to include each of those issues in the platform. To be honest, if Hillary Clinton adopts his core issues she would have a better chance of implementing them than a President Sanders. Really. Bernie is still campaigning. He’ll see his campaign all the way through California. Hillary’s campaign would be smart not to begrudge him that. Sanders may pretend he’s still vying for the nomination, but it’s over. 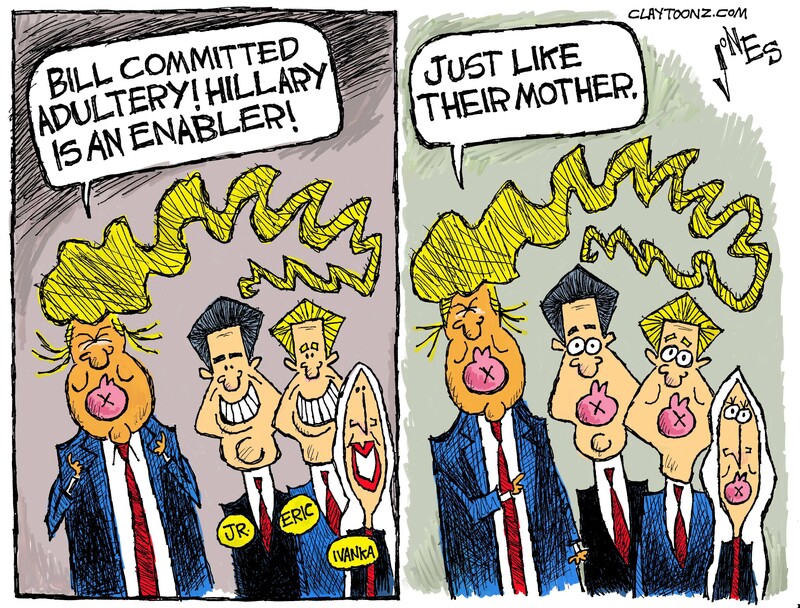 There is no possible path for that to happen unless a fake GOP conspiracy about Hillary actually comes true. I am really glad Bernie Sanders ran for president. I share his views on pay, equality, race, campaign finance, and education. I’d like to see those advanced. 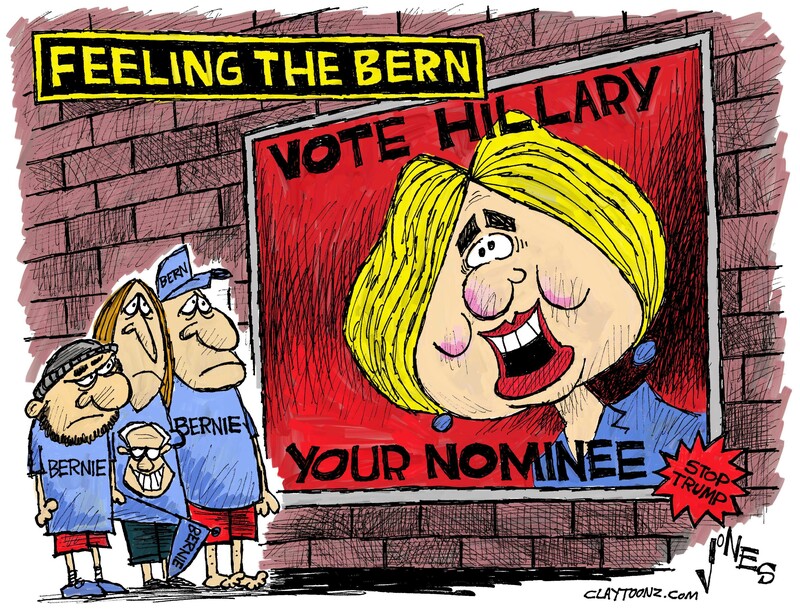 If they poll well enough, then Hillary Clinton will push them too. That is the biggest thing about Clinton I’m not a fan of. OK, Sanders supporters. Let me have it. You’re running out of opportunities. Former president Bill Clinton is spending as much time defending his legacy as he is advocating for his wife’s presidential campaign. During his presidency Clinton signed a crime bill. This was widely supported by Republicans and a lot of Democrats. Even Bernie Sanders voted for it and it was written by Joe Biden. It did some good things like put more police on the street and banned the manufacturing of 19 types of semi-automatic weapons. It also eliminated education grants for inmates, instituted life in prison with the three-strike rule for violent offenders, and constructed a lot of new prisons. Many people blame Clinton for the spike in incarceration rates for minorities. Some of the people came to a rally and protested while Bill Clinton was speaking. As a few members of the Black Lives Matter movement shouted at Clinton, he argued back. He kept arguing. Then he argued some more. He even seemed to be engaging with one protester in particular. His wife the candidate, was totally out of the conversation for a while and it was just Bill Clinton engaging hecklers and defending his presidency. There have been other times when Bill Clinton has acknowledged the sentencing structures in the bill were a mistake. Mandatory sentencing is a mistake. Those decisions should be in the hands of judges and juries who can consider the circumstances. Hillary Clinton has to spend time discussing this bill, which was passed in 1994, six years before she entered the U.S. Senate. There’s been a lot of talk about being presidential. 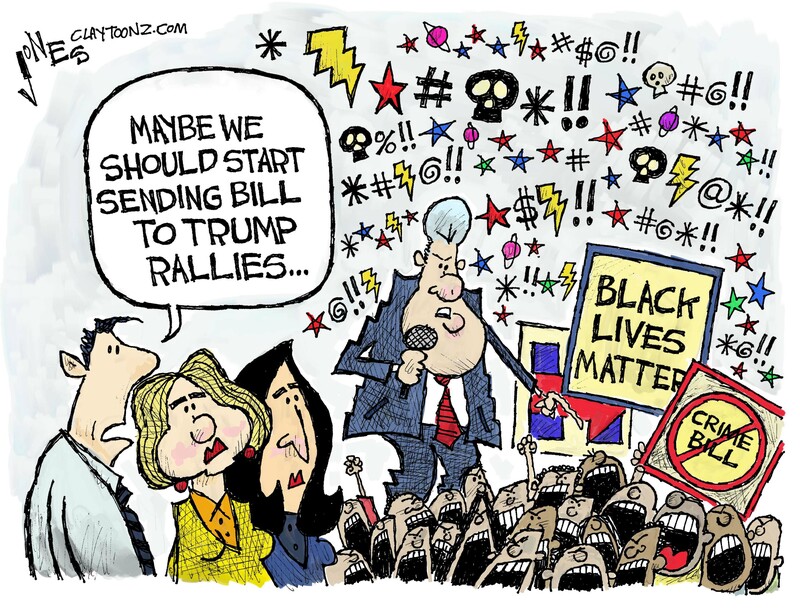 Bill didn’t look very presidential arguing with protesters, but then again, he did a lot in office that wasn’t very presidential. Ted Cruz and Bernie Sanders won their respective primaries in Wisconsin. They each won by healthy margins. Hillary Clinton and Donald Trump both responded to their losses. Not sure if John Kasich made a statement but he’s not important anymore anyway, so nobody cares. Clinton sent out a statement congratulating Sanders while still touting her lead. Candidates do that. They keep hope alive with their supporters. There’s many things wrong with his statement. First he starts by bragging about himself. Then he goes into “Lyin’ Ted.” Classy. Then he accuses the guy of violating election laws before he goes back to calling him a name again, trojan horse. But you know what? He’s not entirely wrong. The establishment is backing Cruz, the candidate who once billed himself as anti establishment. Of course, he also insulted all of New York and he’s now in that state groveling for votes and trying to sell that his “New York Values” comment meant something other than an attack on all New Yorkers (or Jews). The establishment, talk radio guys, and the entire party’s “apparatus” are backing Cruz and trying to prevent Trump from acquiring the number of delegates he needs to secure the nomination. They don’t care if Cruz gets the delegates needed (and they probably don’t want him to either. They’re pretty confidant he can’t). The mission is to stop Trump and that’s it. When the convention rolls around they will toss Cruz aside. Ted Cruz does not know this yet as the man is not humble and is oblivious to obvious things. I don’t expect Trump, Cruz, or even Kasich (snicker) to be the Republican nominee. They will recruit Paul Ryan, who insists he doesn’t want it like he insisted he didn’t want to be Speaker of the House. That may not come true but I have another prediction where I’m very confidant: The next two weeks with the candidates battling in New York, the center of the media universe, is going to be a total blast for me. I wish I was there.